Come winters and you are forced to remain indoors post evening. 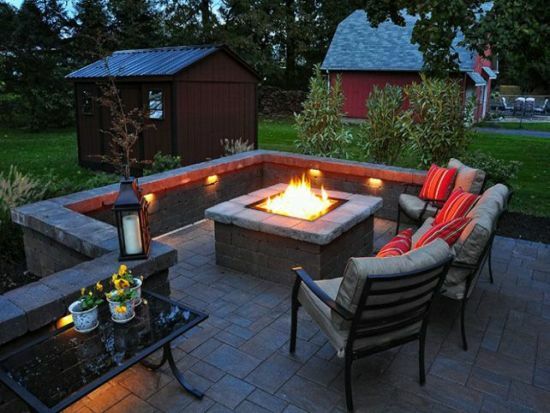 However, nothing can beat the serenity and peacefulness of cold winter evenings. 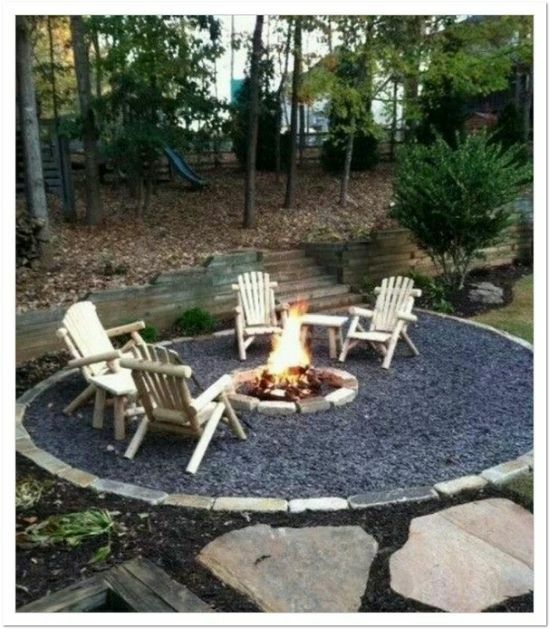 And for that you need to come up with a way to spend time outdoors without catching a cold. 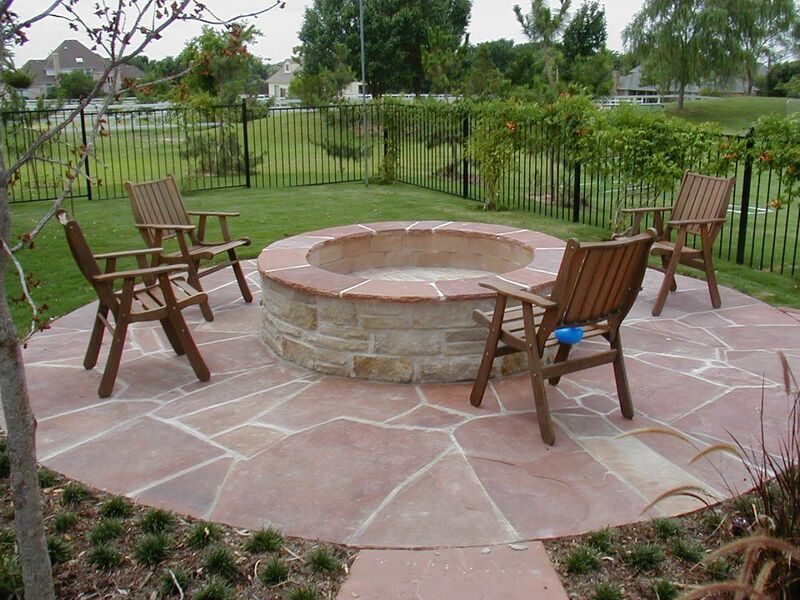 If you have a backyard get a nice firepit installed and trust me you will savor many memorable moments with your friends and family in its warmth during winter time. 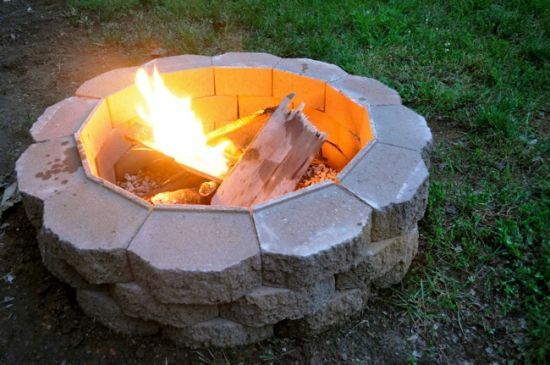 And no, you don’t need to spend a fortune to get a firepit in your backyard because here we give you some really beautiful, inexpensive and simple DIY firepit designs that you can try out. 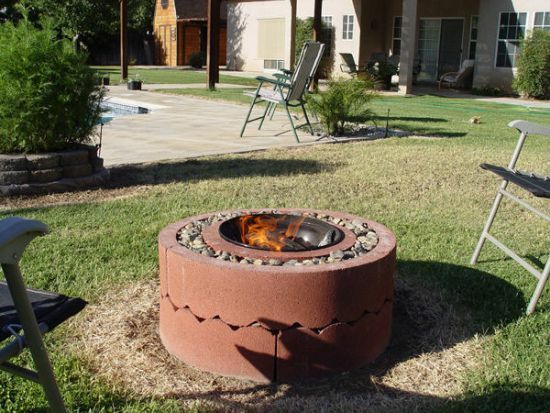 The concrete tree ring firepit ideas are the perfect things to add light and spark to your backyard during chilly winter months. Sit with your loved ones around this lovely outdoor firepit sipping a hot cup of coffee and biting your favorite sizzlers. This kind of backyard firepit is usually small with controlled fires making them an all in all safe firepit option for families. 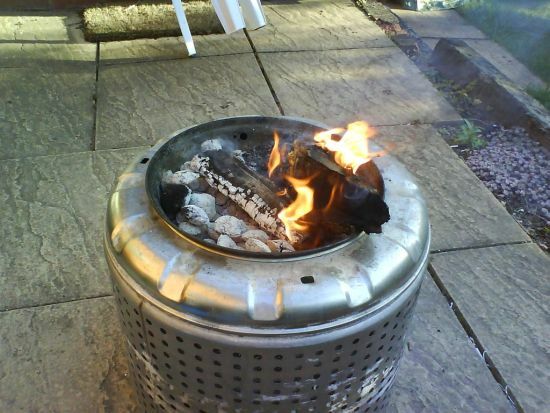 If you have little money to invest then a rusty brick-built firepit can be your best bet. 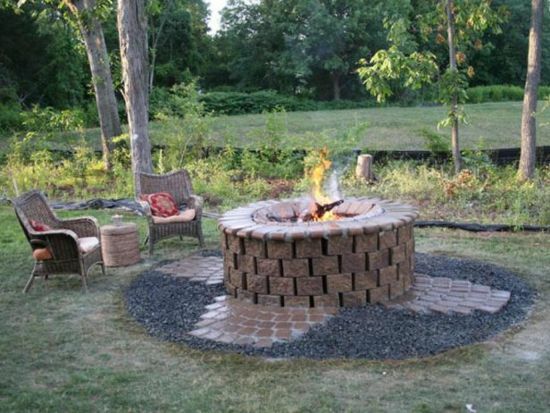 Let the embers spark beautifully with a naturally looking outdoor firepit made up of bricks. It looks classy and can surely be your favorite spot to laze around on cold winter evenings. 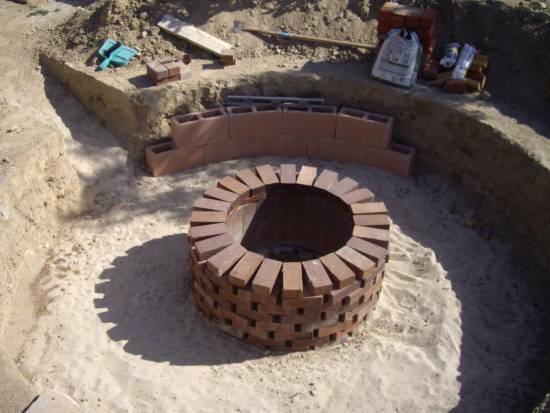 Look down for more outdoor firepit ideas with bricks. Yet another splendid addition to our list of firepit designs is stone firepit that can easily find its way in any traditional as well as contemporary home setting. You can get them in round shape or in square shape. 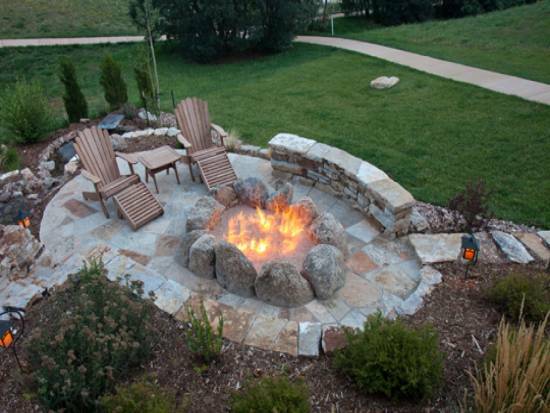 A small area is enough to accommodate a lovely outdoor firepit made of layered stones. 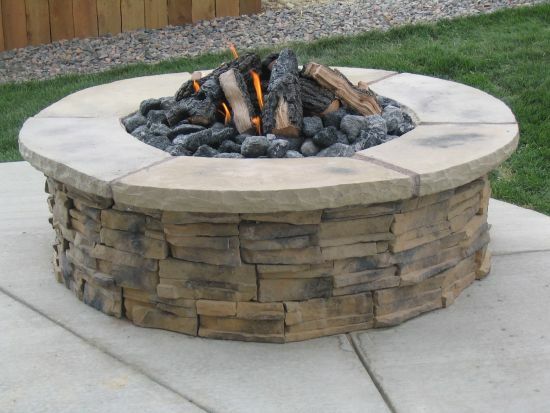 Check down for some more firepit ideas made out of stone. 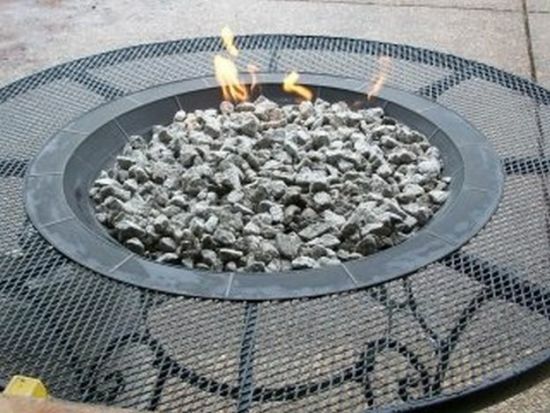 Easy to install and easy to use, a gas firepit can be the best thing you can bring to your backyard. 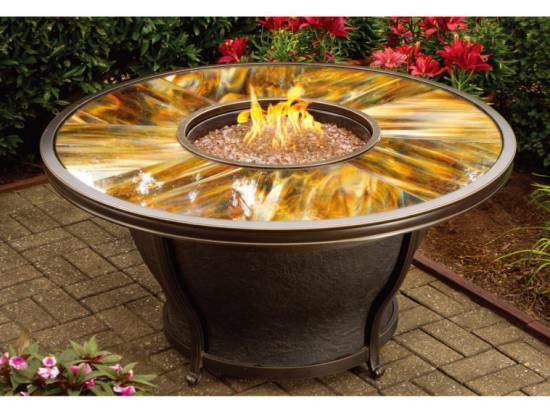 A propane firepit table can be a very good option. You can fix them on stands that come handy with the kit. 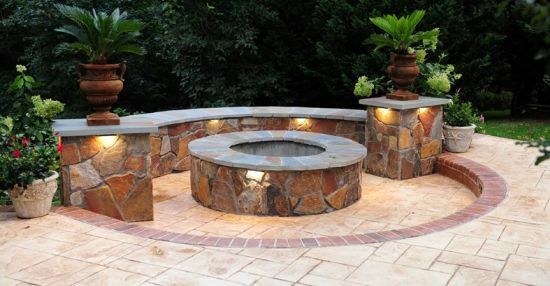 These are easy to maintain and look very simple and lovely as a center attraction for your backyard. 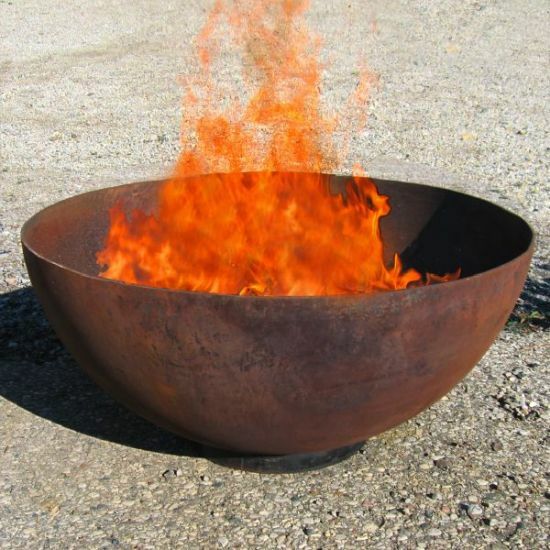 Here we spotlight some more gas firepit designs. 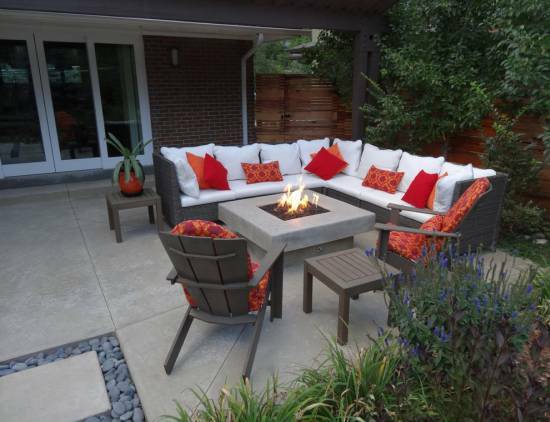 If you have a patio in your backyard then adding a firepit to the space can add a touch of beauty and glamour to it. 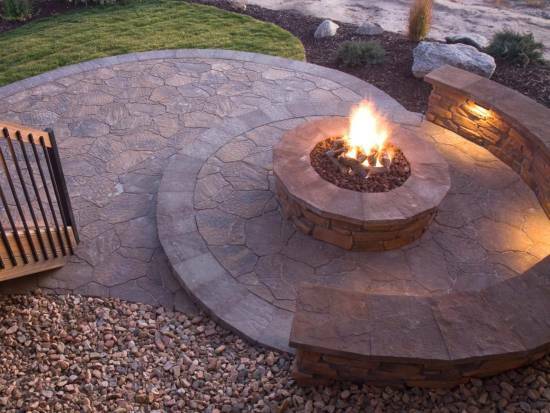 A stamped concrete patio can serve as the perfect base to a lovely outdoor firepit that can add light and much needed warmth to your outer space during the cold nights of winter months. Around it you can sit with your immediate friends and family members, enjoy yummy food while you indulge in never-ending chats. Trust me, winter nights can never be more pleasant! 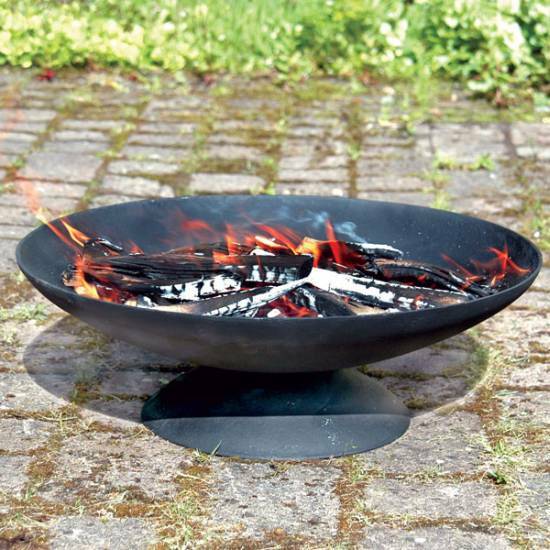 This is a very eco-friendly and easy way to set up a DIY firepit for your backyard. 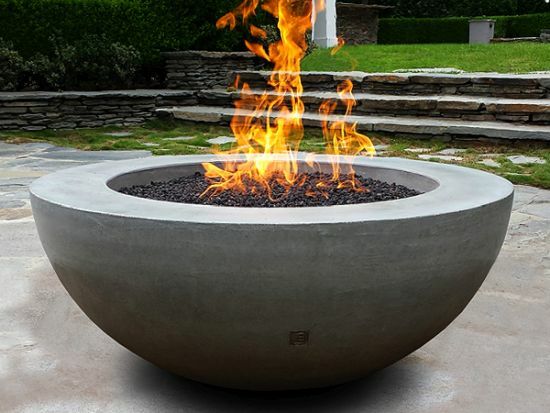 Get a big ceramic, concrete or rock bowl or bowl made out of any other tough material and install it in the location where you want the firepit setup. 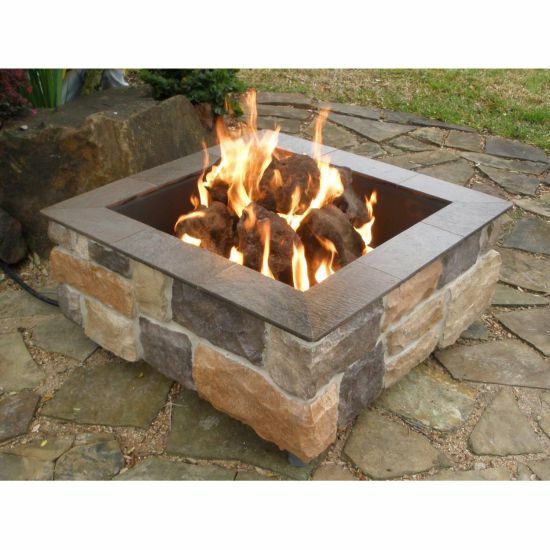 Just throw in some fine looking stones or pebbles or some firepit rocks for a natural look and get some charcoal to light the fire. 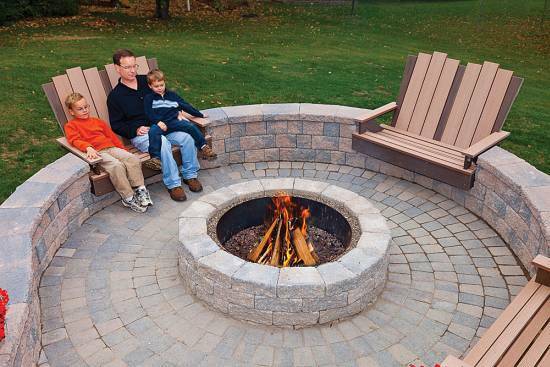 This setup needs you to be at your creative best and you can rustle up a neat and striking firepit setup with it. 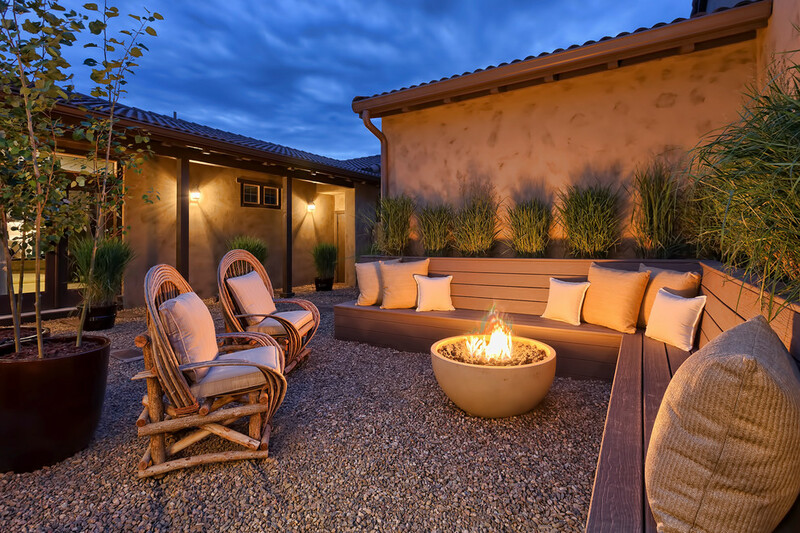 Place chairs around the big bowl and laze around having a chat during winter evenings basking in the warmth and light of your superbly lovely bog bowl firepit. 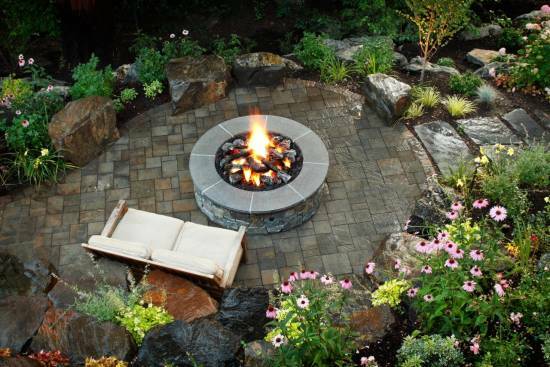 Look down for more such backyard firepit ideas. 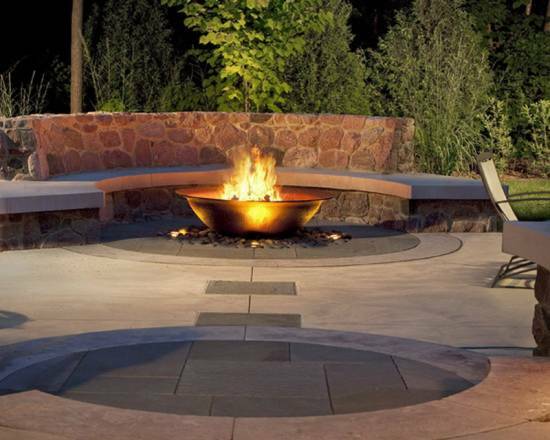 Go unconventional with a square outdoor firepit. 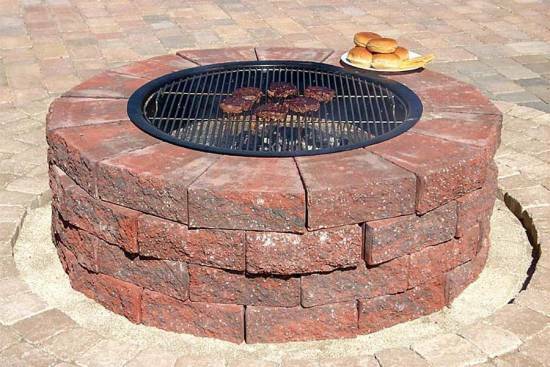 In case a round firepit design is not something that excites you then a square design for firepit is surely the right thing for you. 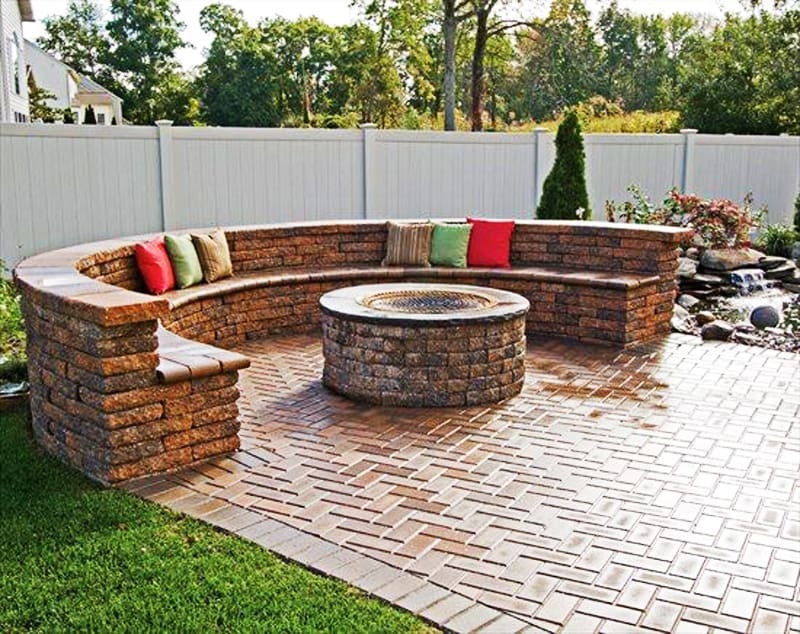 You can get a square design with concrete, bricks or rocks. 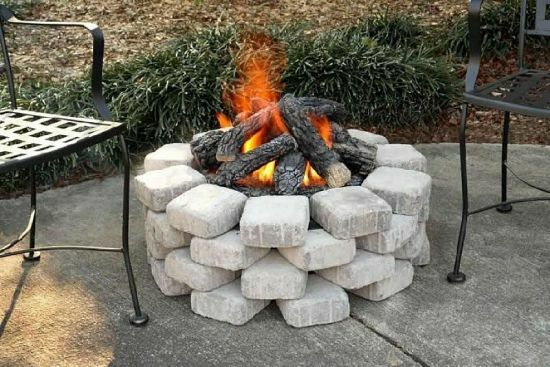 These look amazing and can be a really good DIY backyard firepit project. 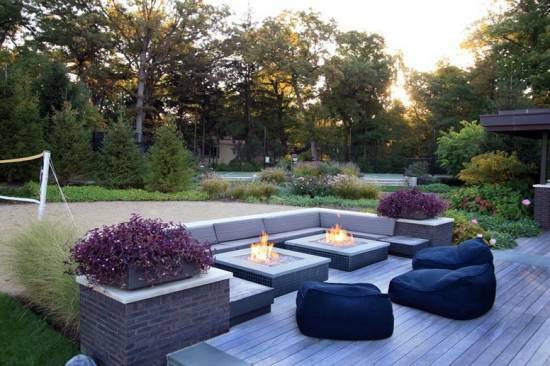 Browse down for more incredible square firepit designs. 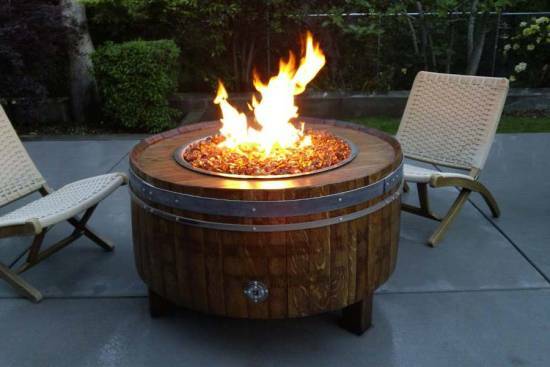 So, with these remarkable outdoor firepit ideas I am sure you know what to do this winter with your backyard. 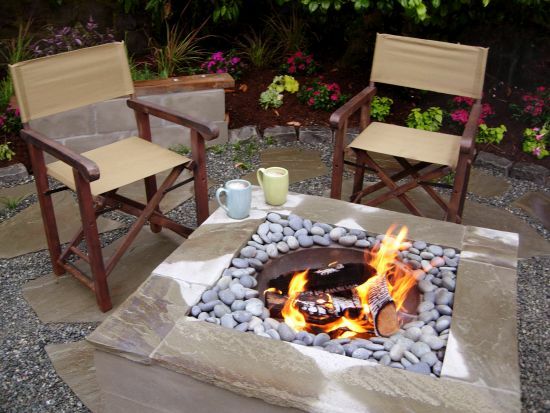 Get set and don your creative hats and install a nice DIY backyard firepit where you can enjoy winter-time to the fullest with your loved ones. 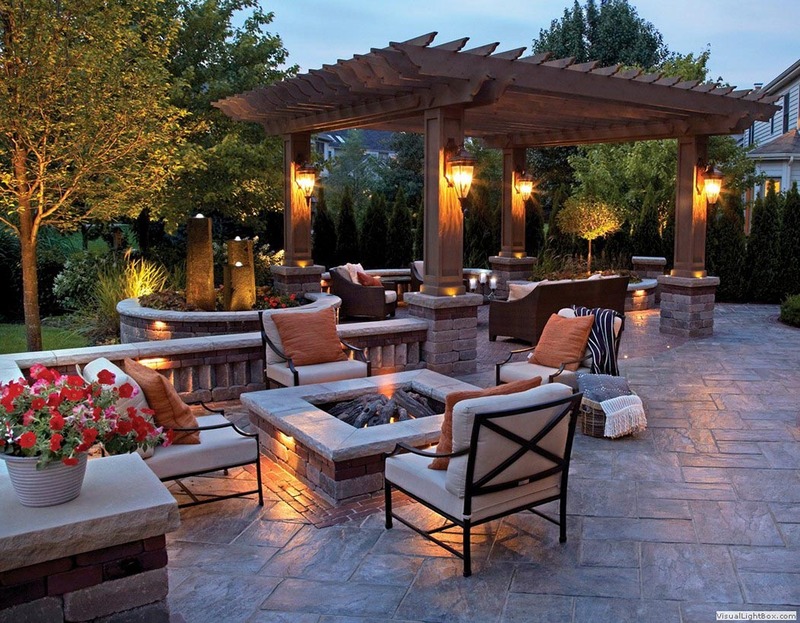 Even your neighbors and guests are surely going to applause you for your creativity and sense of decor. 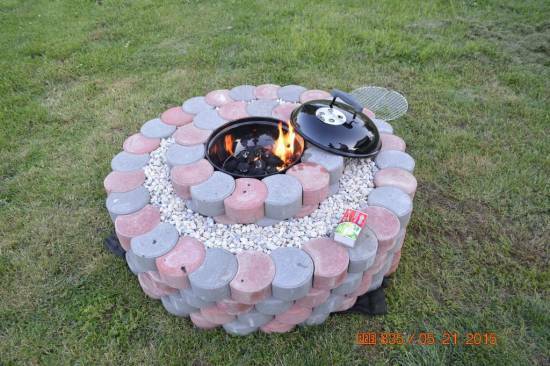 A DIY firepit design does not cost much and can be easily setup too. 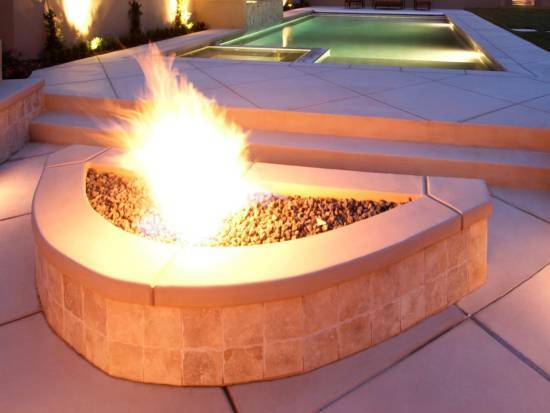 So, embrace the winters with open arms as now you know how to enjoy the chill with the right dose of warmth with amazing backyard firepit designs. Happy winter!